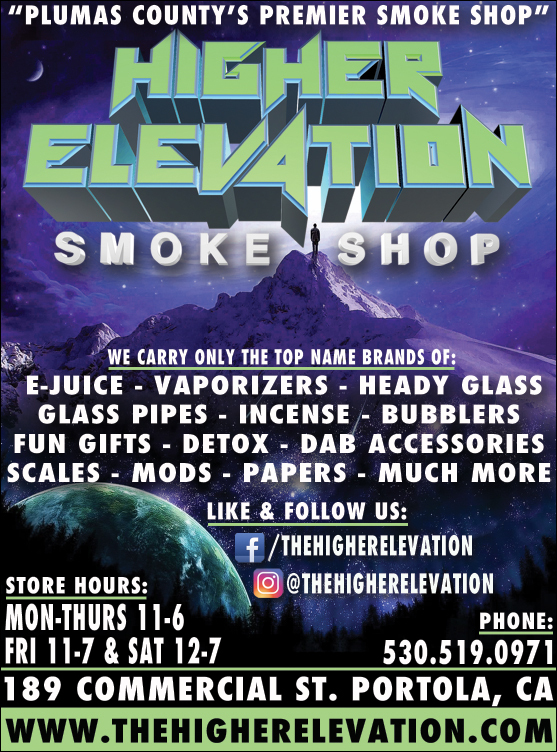 Higher Elevation is a brick n mortar store located in the Portola, CA that offers a wide array of today's top current smoke shop items. Many of our items in the store are available on our website. Feel free to drop a line, or simply surf the site. We hope you can find your next favorite piece, and we look forward to working with you. We hope you have a stellar day. Stay High!